7art Fiesta Clock screensaver - Take an instant holiday each time the screensaver starts at you screen! 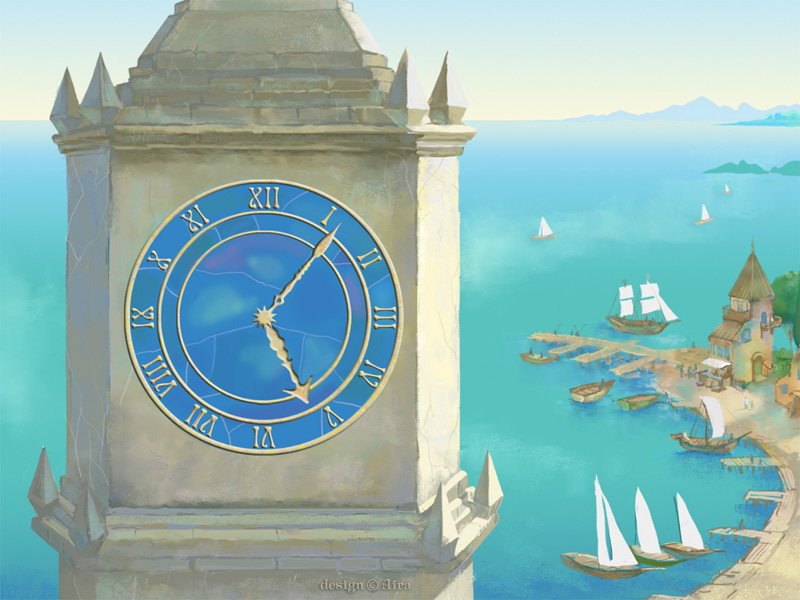 The ancient tower clock in a seaside town with crystal clear sky, sunny serene ocean, ships and yachts in a charming bay, little houses on a warm fertile land. 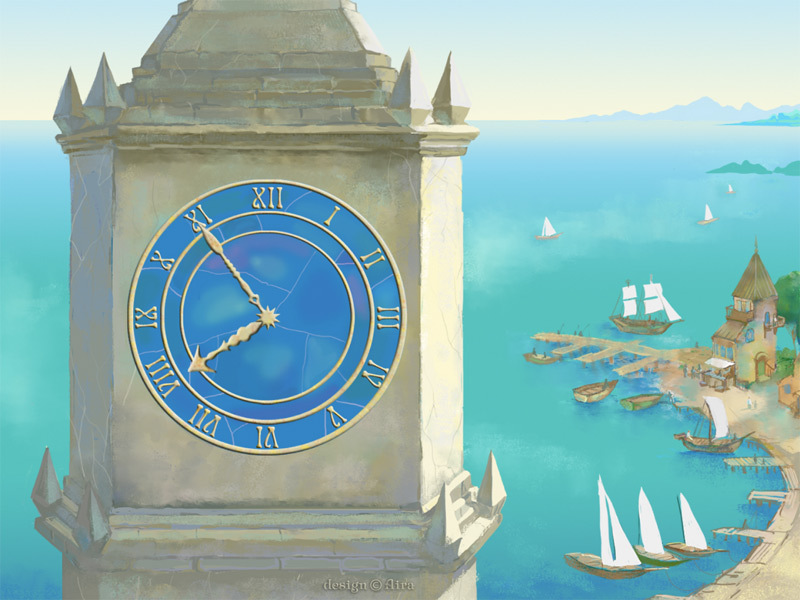 Get into this magic world where the time is going slowly, nobody hurries up. Soft vivid colors calm your mind and make you feel good.